2015, 100per100 italian year: Let the contest begin! 2015 will be a 100per100 Italian Year:it is an year when the eyes of the world will be focused on our country, it is a unique opportunity to show our excellence and our strengths. For this reason we want to pay homage to the products of our cuisine, with 12 products, 12 Chefs and 12 photographers, to narrate and celebrate it during the 12 months of 2015. But there are many products in our tradition, so we need your help to elect the most representative ones that will become the 12 protagonists of the project! Each products will be assign to a Chef who will give a composition, a dish or a recipe. The oeuvre will be immortalized by a photographer of our network and it become the cover image of our Facebook page for 30days, like a Google Doodle. 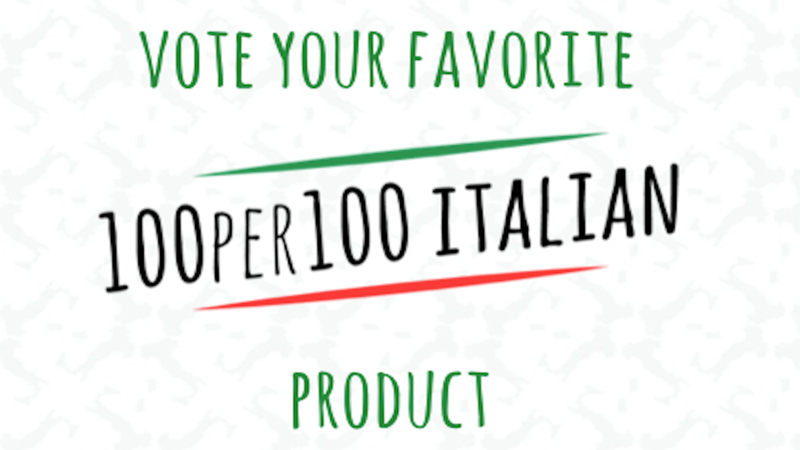 Help us, voting your favorite italian product and it could be the protagonist of the recipe of a important Chef! There is time until November, 30th!